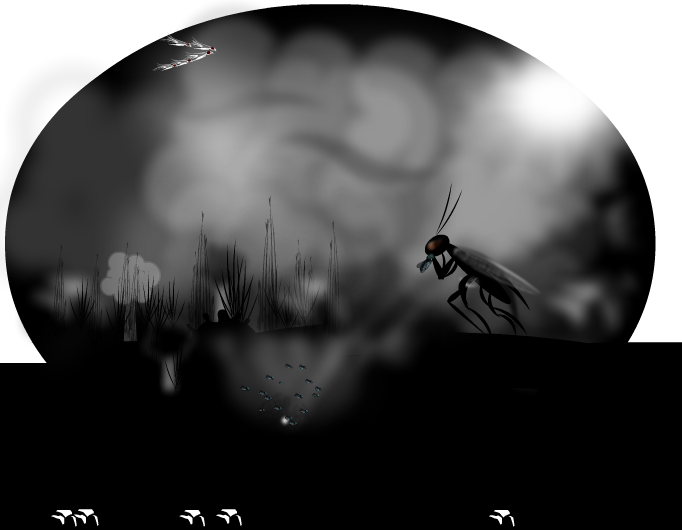 Chapter 5, La Mosca. Pray For Me. fly, la mosca, pray, mantis. We mantids have to stick together. Un ambiente impressionante de fábula e sueño, com toque de tecnica! Wow! I like your limited but effective use of color! Absolutely amazing scene! This is excellent!